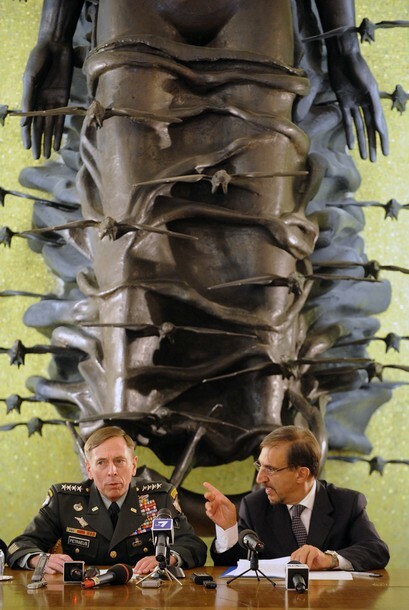 October 18, 2010 (KATAKAMI / PEOPLE’S DAILY ONLINE) — Italian Minister of Defense Ignazio La Russa met Commander of the NATO-led International Security Assistance Force (ISAF) in Afghanistan, U.S. General David H. Petraeus, in Milan on Saturday, local media reported on Sunday. During the meeting held in the command of the First Air Region, La Russa confirmed the Italian government’s commitment to follow up ISAF’s strategy. “I prefer to talk about goals instead,” he said, adding that Italy’s goal is to return the Afghan territory to local government and army, so that they themselves can continue in counter-terrorist action and start a phase of normalization. In La Russa’s view, 2011 may be a decisive year, because the reconstruction plan in the west part of Afghanistan is continuing. “I think that before the end of 2011 several districts of the West will be delivered. Herat, for example, is already an area that could be ready,” he said. The number of Italian soldiers, he added, is to rise to 4,000 by the end of 2010, and there is the possibility for an additional increase of trainers in the first months of 2011. La Russa said that he hasn’t discuss with the ISAF commander about weaponry of Italian airplanes, an issue that the Italian minister has raised in the past days after the killing of four Italian soldiers in Afghanistan. “We both know the situation. NATO and ISAF expect, hope indeed, all crafts to have a complete armament, and this issue will be handled in Lisbon,” he pointed out. During their meeting, La Russia and Petraeus also talked about the NATO-supported negotiations between the Karzai government and the Taliban. “We support this initiative because we know that the reconciliation is fundamental, but Taliban must meet the conditions that Karzai has put clearly: lay down arms, stop the violence, cut ties with al-Qaeda, walk away from international terrorism and accept the Afghan constitution,” he said. On Monday, Petraeus will be in Rome for a meeting with Italy’s special representative for Afghanistan and Pakistan. October 15, 2010 – (KATAKAMI / Reuters) – NATO-led forces facilitated the passage of a senior Taliban commander to Kabul to hold talks with the Afghan government, the commander of U.S. and NATO troops in Afghanistan said on Friday. General David Petraeus, commander of the International Security Assistance Force (ISAF), said the move was part of U.S. and NATO support for President Hamid Karzai’s reconciliation discussions with the Taliban. “In certain respect we do facilitate that, given that, needless to say it would not be the easiest of tasks for a senior Taliban commander to enter Afghanistan and make his way to Kabul if ISAF were not….aware of it and therefore allows it to take place,” he told an audience in London. Petraeus said several “very senior” Taliban leaders had reached out to the Afghan government and other countries engaged in Afghanistan. However, he said the discussions were preliminary in nature. “They certainly would not rise to the level of being called negotiations,” he said. U.S. and NATO leaders said on Thursday they were ready to help Afghan President Hamid Karzai pursue reconciliation efforts with the Taliban. Pakistan said on Friday it was willing to assist such talks. 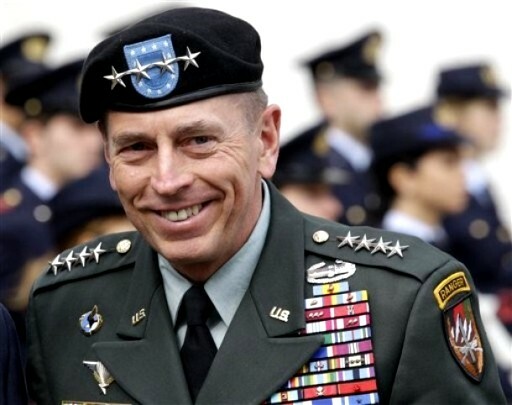 London, England (KATAKAMI / CNN) — British Prime Minister David Cameron is scheduled to meet Thursday with America’s top commander in Afghanistan, Gen. David Petraeus. 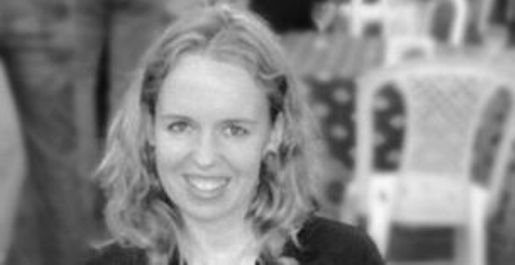 The meeting comes less than a week after a British aid worker was killed during an operation to rescue her from kidnappers in Afghanistan. Linda Norgrove may have been killed by a grenade thrown by American forces trying to free her, Cameron said Monday. “It’s a long-standing meeting and has been in the diary for a number of weeks,” the Downing Street press office said this week, adding that the discussion will center on the strategy in Afghanistan. Petraeus also will meet with British Defense Secretary Liam Fox to talk about Afghanistan, it said. An investigation into Norgrove’s death was to be launched this week and led by a senior officer from U.S. Central Command, an International Security Assistance Force official told CNN. NATO and British officials had said earlier she was killed by her captors, who detonated an explosive. Petraeus contacted him Monday morning, he said, with new information. Cameron said he could not make a firm statement about the cause of her death until the investigation is complete. 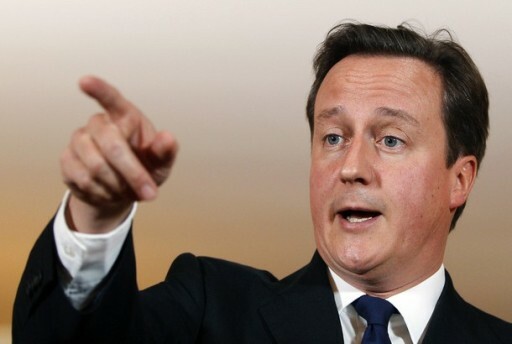 It will be a joint investigation between the United States and United Kingdom, he said. One of the key components in determining what went wrong will be the autopsy, which will be carried out by British officials, the ISAF officer said. The initial report on the rescue mission by the troops who carried it out did not mention throwing a grenade, but a follow-up report “raised a lot of questions about what killed” Norgrove, U.S. Navy Capt. Gary Kirchner told CNN after Cameron spoke. 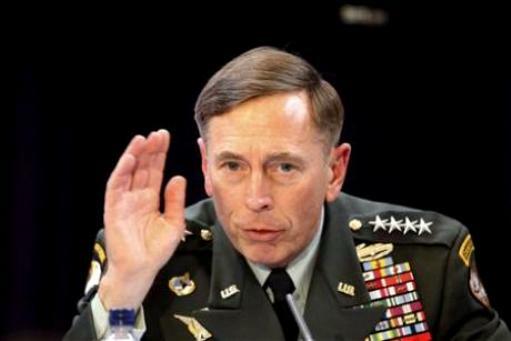 The mission commander called Petraeus as soon as he learned a grenade had been thrown, Kirchner said, without naming the commander. The investigation will be done “with all due haste,” Kirchner said. It will review the mission plan, communications and video from the operation, he said. A “review of surveillance footage and discussions with members of the rescue team do not conclusively determine the cause of her death,” the U.S. military said in a statement Monday. The British government aims to share as much of the final report as possible with lawmakers, British Foreign Secretary William Hague said Monday. Cameron said he believed “profoundly” that it had been the right decision to try to rescue her, although he looked shaken at times during his statement to reporters. The rescue operation was planned and carried out by U.S. Special Forces, Hague told the House of Commons Monday after Cameron spoke. He personally authorized efforts to rescue her by military action “within a few hours” of her being captured, Hague said. He said intelligence and weather conditions played a role in determining the timing of the operation. Norgrove, who had been held hostage since late last month, worked for DAI, an agency that provides various services to developing nations. She spent much of her career managing projects for farmers and rural workers. October 09, 2010 (KATAKAMI) — Afghan President Hamid Karzai and top U.S. General David Petraeus are visiting the southern province of Kandahar, where coalition forces are engaged in a major operation against the Taliban. U.S. 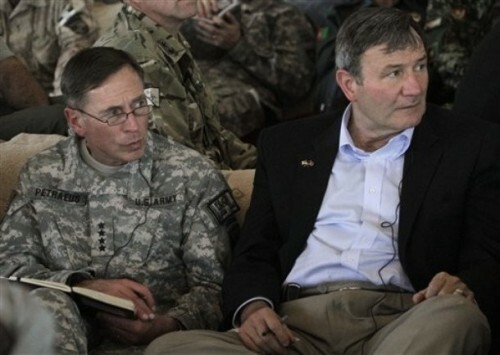 Ambassador Karl Eikenberry also is accompanying the Afghan president, who is expected to meet with tribal elders Saturday to rally support for his government and for international forces. NATO and Afghan troops are trying to drive the Taliban out of its southern stronghold with a military offensive called Operation Dragon Strike. In another development, the British Foreign Ministry says a British aid worker kidnapped in Afghanistan was killed by her captors during a rescue attempt. Linda Norgrove and three Afghan colleagues were abducted September 26 in the eastern province of Kunar. Foreign Secretary William Hague expressed “deep sadness” in a statement Saturday confirming Norgrove’s death. Also, a spokesman for Italy’s Defense Ministry, General Massimo Fogari, says four Italian troops were killed and another was wounded in an attack in western Afghanistan. He said the soldiers’ convoy was first struck by a roadside bomb, before insurgents attacked with gunfire. Italy has about 3,400 soldiers in Afghanistan, deployed mostly in the west. On Friday, a bomb blast at a mosque in northern Afghanistan killed 13 people, including the governor of Kunduz, Mohammad Omar, who frequently spoke out against the Taliban and had escaped at least two previous attempts on his life.